Imagine a world where you can bronze at the beach, spot Hollywood royalty or a Disney princess, see a professional sporting event, and take in a Broadway-quality show without losing your cool. La-La Land is real, and you’re wanted on set. 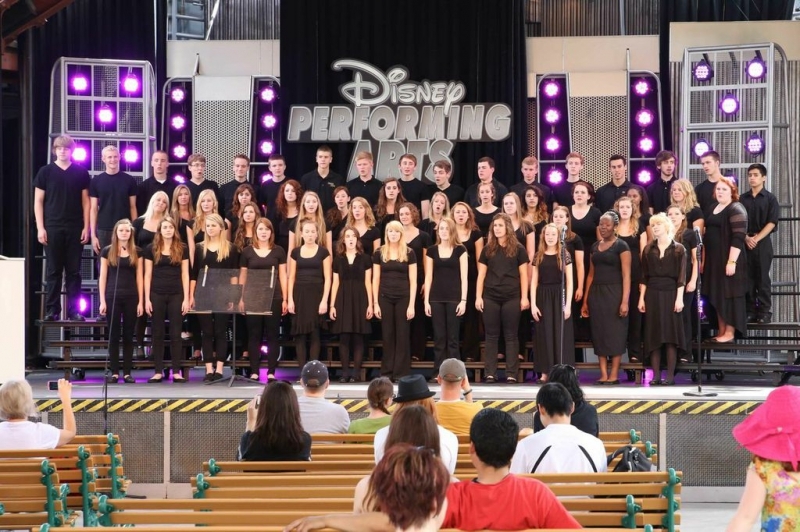 With celebrated events like the Hollywood Christmas Parade, the Tournament of Roses Parade, and the Huntington Beach Fourth of July Parade, L.A. offers fabulous performance opportunities while on tour–no matter the season. Disneyland: Be as grown up as you want to be at Disneyland. Risk your lunch on the teacups, or enjoy world-class dining. Weep in the presence of Cinderella, or…weep in the presence of Cinderella. Sing it, Frank: Fairy tales can come true. It can happen to you, if you’re young at heart. Hollywood: Turn off the TV and see Tinseltown in living color. Brush elbows with your favorite celebrities in the flesh (or at the Hollywood Wax Museum). Read the sign in the hills and the names at your feet on the Walk of Fame. 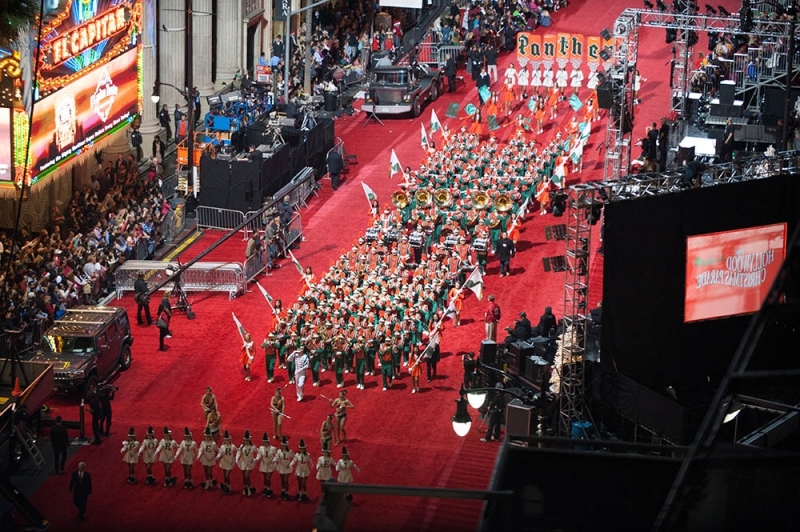 Join the Hollywood Christmas Parade, and you’ll even be part of the magic.